''The DevOps Handbook'' clearly states the three core of DevOps. It is all about the people, the culture, and the processes. 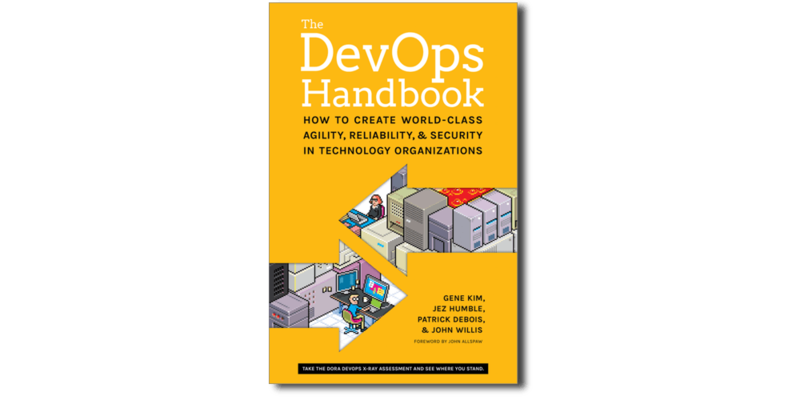 The DevOps Handbook starts with the authors' “aha” moments with DevOps. I’d like to share my personal “aha” moment with you, as well. Back in 2012, I was working on an online banking platform. Our team of software engineers had the goal of releasing at least one feature or major improvement per week. However, the process of shipping software did not allow us to do so: manual instead of automated tests, poor communication, and feedback between software development and operations, time-consuming provisioning of new infrastructure and environments. To be able to get feedback from our customers as soon as possible, we were looking for a way to be able to deploy new features and improvements much faster and more often. Our team started to build and operate its own infrastructure on top of Amazon Web Services. We were also investing into automated tests and deployments very heavily. As a result, we were able to deploy to production with less risk and much faster. Back to the topic! I have been reading The DevOps Handbook recently. I can highly recommend this book written by Gene Kim, Jez Humble, Patrick Debois, and John Willis. 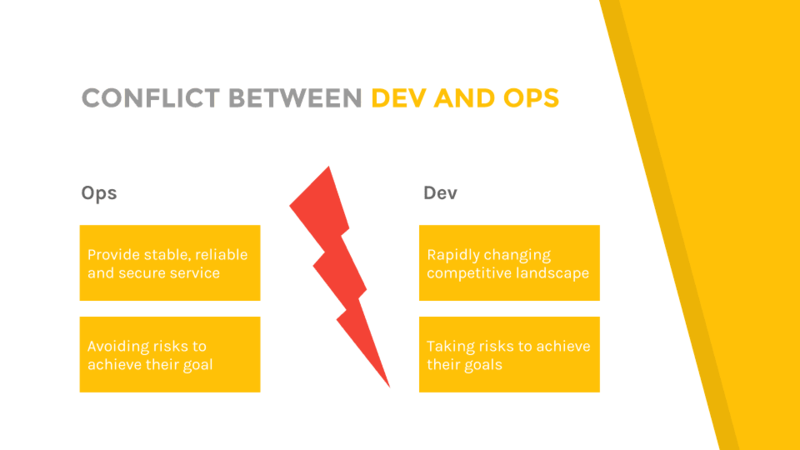 The DevOps Handbook is summarizing and structuring the concepts behind DevOps clearly. Solving the conflict by transferring learnings from the manufacturing value stream to the technology value stream is the main focus of the book. The authors are focusing on the Three Ways. 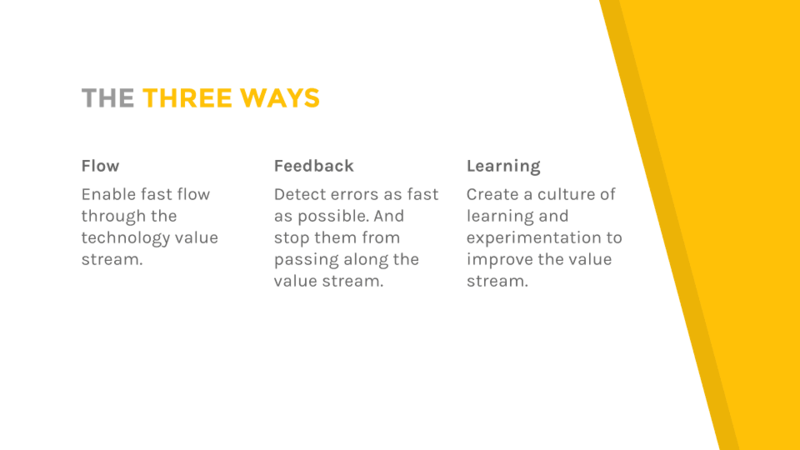 The Three Ways are the core principals behind DevOps: flow, feedback, and continual learning. The DevOps Handbook clearly states the core of DevOps. The book is does not focus on tools like infrastructure as code, containers, or configuration management. It is all about people, culture, and processes. The book creates a language to describe DevOps and gain a common understanding. I highly recommend it, no matter if you have a technical or business background. Delivery Pipeline as Code: AWS CloudFormation and AWS CodePipeline. Jenkins Templates for AWS CloudFormation.